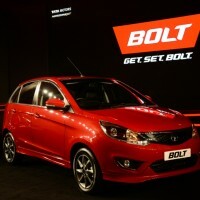 Tata Motors today announced the commercial launch of its much-awaited sporty hatchback, the all-new Bolt. 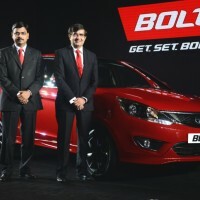 Manufactured at the Pimpri plant in Pune, Bolt is the latest car from the company, under its Horizonext umbrella and offers many segment-defining features for Design, Drivability and Connectivity. The Bolt is launched at a starting price of INR 4.44 Lakhs, ex-showroom, Delhi, for the Revotron (petrol) 1.2T and starts at INR 5.49 Lakhs, ex-showroom, Delhi, for the diesel variant. 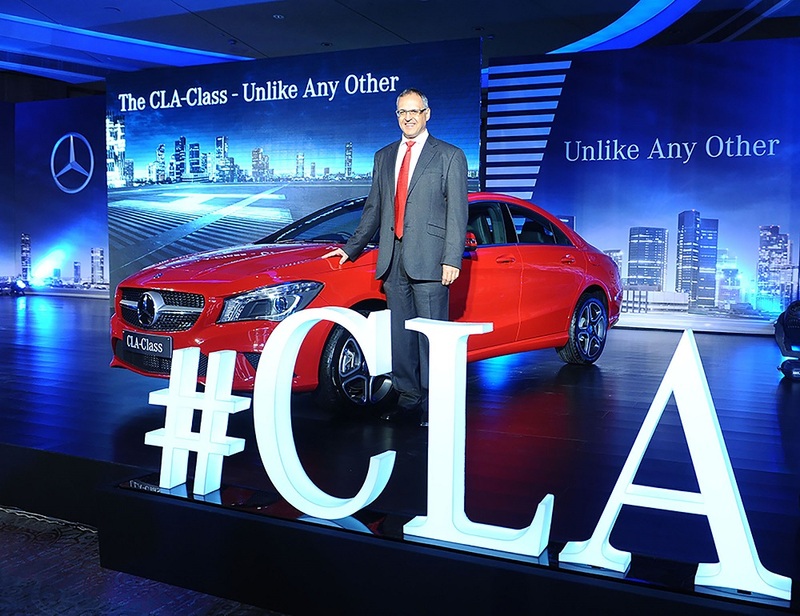 The car will be available for sale, across the country in over 450 Tata Motors sales outlets from today. The word BOLT signifies speed, representing an attitude of winning and staying ahead. This attitude is embodied in the all-new BOLT in all aspects of design, drive and seamless connectivity. 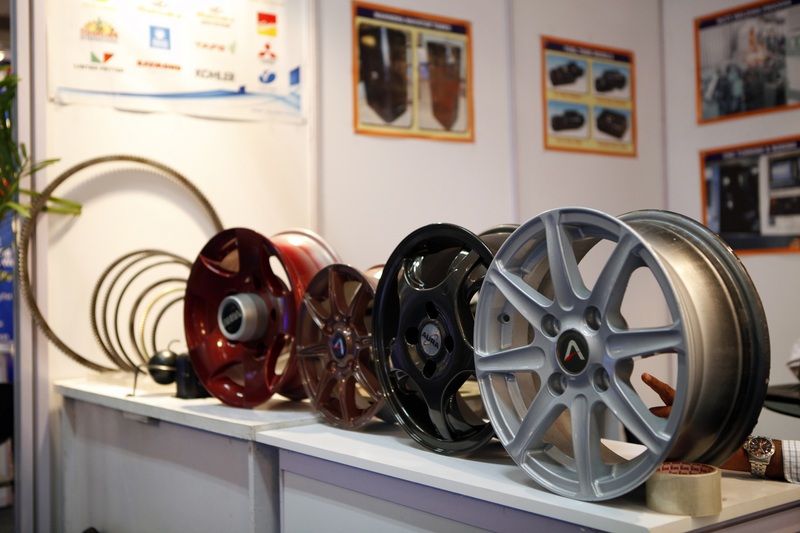 It clearly exemplifies the HORIZONEXT themes of Intense Product Focus, World-class Manufacturing Quality, Enriched Purchase Experience and Consistent Quality of Service for its passenger vehicle business. With the commercial launch of the Bolt, Tata Motors also announced the launch of an exciting new service programme for the car offering warranty of 3 years or 1 lakhs Kms (whichever is earlier) as well as a free 24X7 Roadside Assistance service for 3 years. Customers will also receive first 3 services free (up to 30,000 kms or 2 years, whichever is earlier). These services will help the company offer high reliability, reduced cost of ownership and great resale value for the Bolt to its customers. The bold new stance and the well sculpted body of the Bolt puts forth the new Tata Motors design semantics and it is a design culmination of best ideas from the three Tata Motors design studios – Pune (India), Coventry (UK), and Turin (Italy). The Bolt conveys a sense of power and agility with the power bulge on its bonnet and its forward pouncing stance. Flowing lines create the illusion of movement even when the car is standing still. The exterior language amplifies the feeling of a larger hatchback. 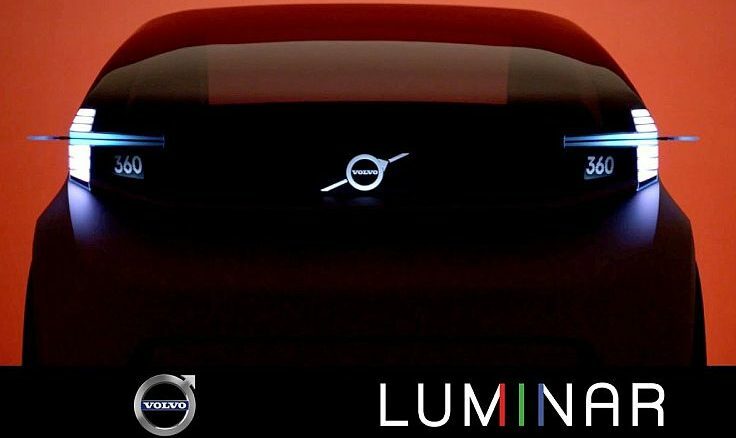 The silhouette reveals smooth, flowing lines finishing in a flat edge of the spoiler. While the rear-spoiler aids in aerodynamics, the effect of the wraparound rear windows by darkened C-pillar creates a distinctive floating roof design and provides an extra sporty touch to this premium hatch. The flame shaped rear tail lamps and bumper give an eye catchy proportion and helps in creating a sporty stance. 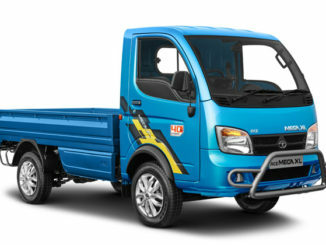 The new Tata signature grill and the Humanity Line visually flow into the smoked multi-chamber headlamps, creating a unique design signature for the brand. 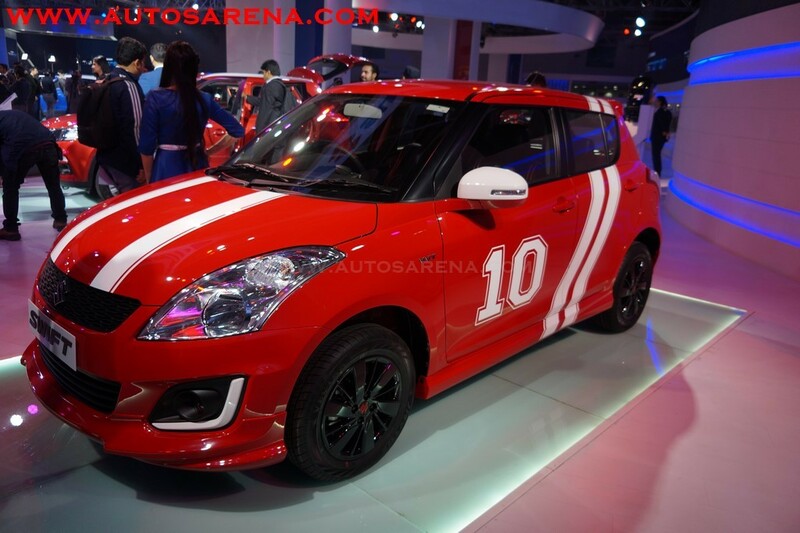 A wide air intake and the fog lamp Bezels give a sporty and confident look to the car. All the elements of the car, combined with a well sculpted body, add to its dynamic and athletic stance. Riding on Tata Motors’ new design DNA, a greater attention to detail towards the vehicle’s interiors is another defining factor that makes the Bolt the defining car in its segment. Interiors come with premium Java black dashboard. The center console is the main focal element for the car, loaded with the best-in-class experience of infotainment and HVAC. Key design elements like the, new generation Tata signature 3-spoke steering wheel with ergonomic groove, driver-centric cockpit, precisely detailed air vents and sculpturally designed central console provide the car with a new and younger look that will undoubtedly appeal to the young buyers. To cater the growing needs of consumers for space, Bolt continues to offer Tata Motors’ strength of superior space and comfort. The front shoulder room of Bolt is spacious by 36 mm while rear is spacious by 41 mm, compared to most popular cars in the segment. Available in a five exciting colours – Venetian Red, Pristine White, Platinum Silver, Sky Grey, Dune Beige – the Bolt will be offered in four trims — XE, XM, XMS and XT. The Bolt comes with segment-first Drivenext features which makes it the best-in-segment for its driving dynamics. It will be available in both petrol and diesel variants. In the petrol, Bolt will be the segment’s first hatch to be powered by India’s first 1.2L Turbocharged Multi-point Fuel Injection (MPFi) Petrol Engine, REVOTRON 1.2T, with best-in-class maximum power of 90PS @ 5000 RPM and peak torque of 140 Nm @ 1500-4000 RPM. 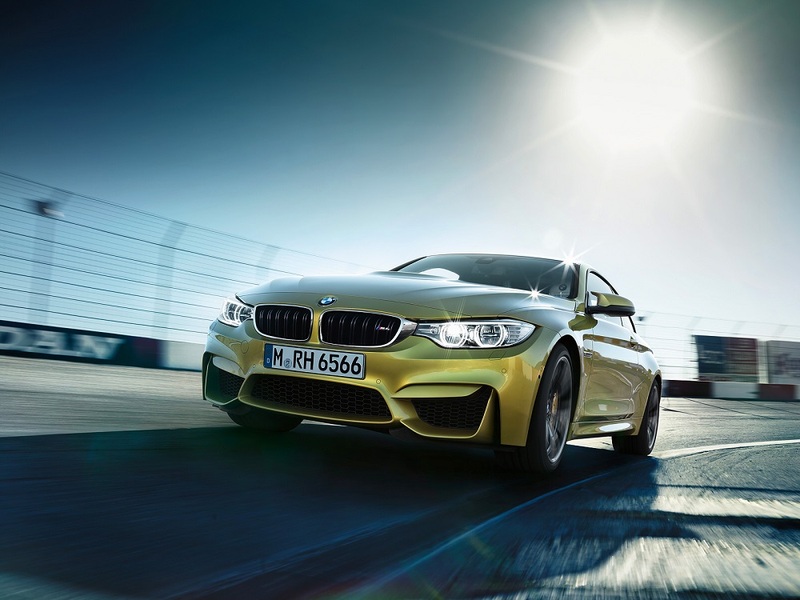 It has been developed in conjunction with global consultancies and suppliers to deliver world-class performance in terms of power, torque and efficiency. It has undergone over 300,000 hours of rigorous developmental and research testing. The diesel variant comes with a powerful Quadrajet 1.3L engine, delivering power of 75PS @ 4000 RPM and torque of 190 Nm from 1750 RPM to 3000 RPM for a peppy drive with effortless delivery of power. Both petrol and diesel powertrains are BS-IV compliant and are capable of meeting future norms. Multi-Drive modes is one of the key innovations in India, introduced by Tata Motors with the Revotron 1.2T engine in the Bolt. The Revotron 1.2T engine offers the optimum blend of performance, refinement and fuel economy. The unique first-in-segment ‘Multi-Drive’ technology enables switching between SPORT, ECO and CITY mode, along with a superior throttle response. In the SPORT mode, the Revotron 1.2T engine delivers quick acceleration and throttle response for achieving peak torque and sheer performance. The ECO mode, optimizes engine output for maximum efficiency, suitable for cruising on long intercity drives. The CITY mode, what the car runs in by default, balances between performance and economy, suitable for daily commute. The Multi-Drive, coupled with a superior throttle response, advanced catalytic converter to reduced toxic emissions and Smart ECU (Electronic Control Unit) with various innovative strategies, ensure a superlative performance on Indian roads. As per the Automotive Research Association of India (ARAI) certification, the Revotron 1.2T delivers 17.57 km/litre and the Diesel delivers 22.95 km/litre, fuel efficiency under test conditions. A silent, quieter cabin will ensure a pleasant and unmatched drive experience. The dual-path suspension coupled with a zero pivot sub-frame ensures smooth and comfortable ride. The improved suspension provides effective isolation from road inputs without compromising on the body control, translating into a class-leading balance between ride and handling. With ConnectNext, the company will deliver a new level of driving and ownership experience as users can not only enjoy superior quality of entertainment from their own smart device and control the deliverance of all ergonomics, acoustics and climatic needs, but also get access to outside world seamlessly, at the touch of a key. Tata Motors has continued its association with HARMAN for developing the first-in-segment touchscreen infotainment and has also worked with MapMyIndia to develop next generation smart phone based navigation, which provides location based services. The car is enabled with touchscreen infotainment supporting rich multimedia experience, video play-back, smart phone based navigation, advanced Bluetooth technology, smart voice recognition, advanced smartphone integration, incoming SMS notification and read-outs. The system has in-built HVAC controls, which is a first-in-class experience for all consumers. The Bolt will ensure car users to seamlessly integrate their professional and personal lives into their commute and travel, while bringing in an unparalleled infotainment experience. 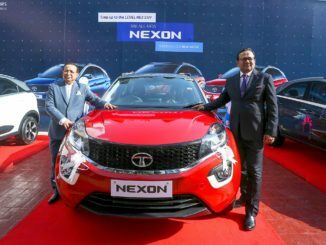 Tata Motors has upgraded close to 200 dealerships across the country to deliver to its customers the desired world class ambience, purchase experience and consistent high-quality after-sales service. The company is focusing on enhanced customer engagement levels at the dealerships through technology-enabled outlets, providing all-encompassing services at one point – sales, service and spare parts. These upgraded dealerships and service centers with the new Tata Motors retail identity will take customer experience to the next level. They will comprise of adequate number of trained manpower across all profiles for rendering service to the Bolt customers. The company has added over 1200 new sales force for the Bolt and a special customer advisory group called the Bolt Force has been formulated, comprising of 1000 staff, exclusively to assist the Bolt customers. The entire sales staff team comprising of 4000 employees have undergone extensive training at the central and regional training centres across the country to provide customers with an enriching experience. As part of the launch promotions, Tata Motors has rolled out its on-ground experiential activation programme called, Bolt Arena. The Bolt Arena will cover 133 locations, across India by January 28th, 2015. The Arena gives an opportunity to the customers to know the brand better and also engage in various activities and interactive games.